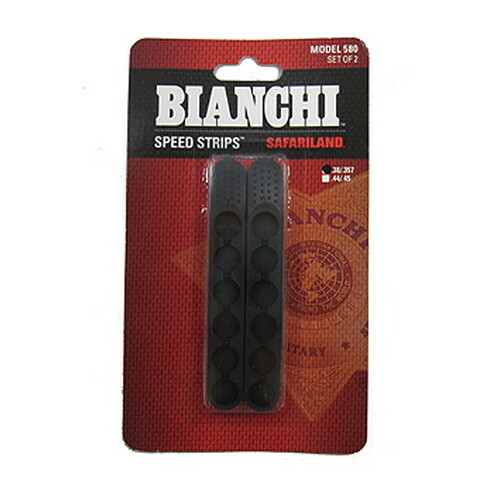 The Bianchi Speed Strip is a compact and handy device for loading revolvers. Injection molded from a flexible urethane material the Speed Strip holds six 6 rounds of .38.357 ammo and loads the cylinder two at a time. It comes in a twopack.